Angelique Rivera. Photo courtesy of Kevin Thomas Photography. Forget everything you’ve been told about how moving to LA to become a Hollywood star is an impossible dream. Television newcomer Angelique Rivera is proof that it doesn’t always have to be an uphill battle. With the right mix of talent, hard work and determination, achieving the impossible can happen in record time. Born in Chicago, Illinois, Angelique says she moved around a lot growing up, before she eventually settled in Kissimmee, Florida, a town she now considers home. After graduating from the University of Florida in 2014, she moved to Los Angeles to pursue an acting career. It wasn’t long after her first big callback that she found herself in Austin, Texas taking on the role of Evy in the highly-anticipated second season of ABC’s critically-acclaimed drama American Crime. Recognizing Angelique’s newly discovered interest in becoming an actress, her mother enrolled her in community theater. As she gained more experience in high school plays, she says it was her drama teacher who suggested that she consider a career in television and film. It was in college, while she was continuing to pursue theater, that she began to fall in love with the process of movie-making, through her participation in student films. Although she was initially concerned about finding substantive roles, given her ethnicity (Latinos are currently one of the most under-represented minorities on screen in Hollywood), Angelique couldn’t deny her passion to follow her dream, despite the challenges. 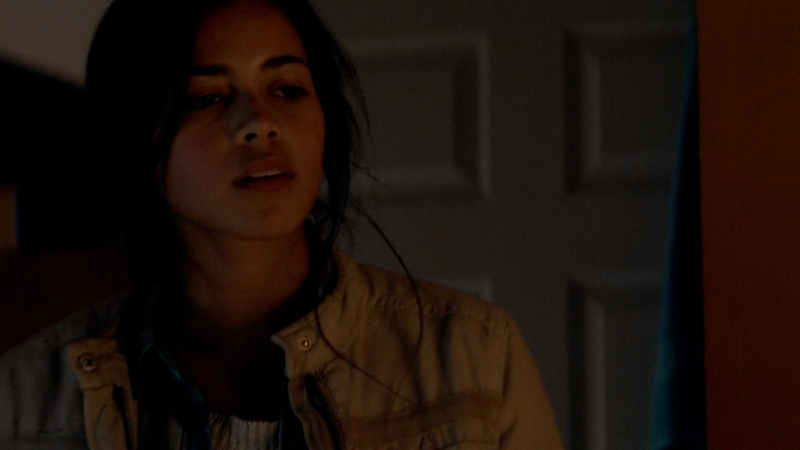 Angelique Rivera stars as Evy in “American Crime” on ABC. In her new role as Evy Dominguez, in the second season of American Crime, Angelique joins a powerhouse cast of new characters (played by returning stars Felicity Huffman, Timothy Hutton, and Regina King) in an all-new storyline. Angelique explained that her role is very character-driven and physically downplayed. If you take one look at Angelique’s real-life Instagram photos (click here), it’s easy to see the striking transformation that was necessary to downplay her natural beauty in order to project a more understated role. As she talks about her new role, it is easy to sense Angelique’s enthusiam and the gratitude she has for the opportunity she has been given. Throughout the process, she had the chance to work closely with actress Lili Taylor, whom she has a deep respect for both on screen and off. As she prepares for the next exciting steps in her acting career that will no doubt follow this role, Angelique shared her hopes for the future.